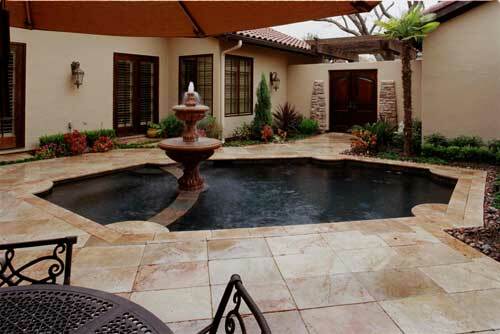 A small entry courtyard is the setting for this unique pool featuring old world style and finishes. 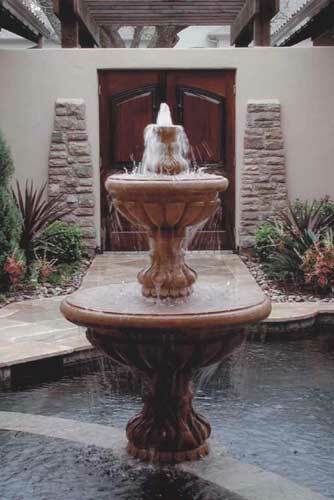 The Cantera stone tiered fountain is carefully positioned on the spa wall to align with the doors that enter the courtyard from the street. This position gives the fountain a central location in the courtyard with views from many interior windows. 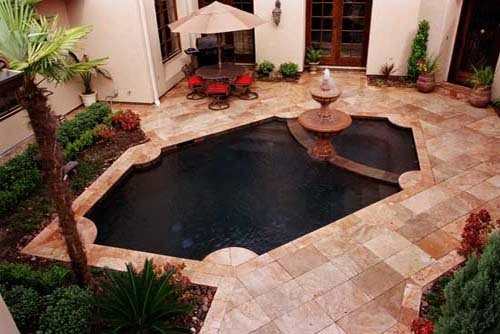 The shape was conceived to provide as much pool as possible and still allow for access, patio space and planting. Tumbled travertine coping, slate waterline tile and black plaster have been used to create a soft, aged effect, which compliments the look of the residence.